Neth FM Live Sri Lanka Radio live streaming Online . Listen over 60 Sri Lanka FM Radio Stations live Streaming Online . Enjoy Live Stream of Srilanka Music News 24 by 7 Online . ALL FM statios Plays well in Google Chrome or Mozilla Firefox browsers . Neth fm belumgala is owned by ASSET RADIO BROADCASTING (PVT) LIMITED . 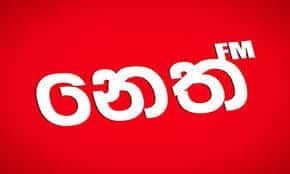 This first Sinhala FM channel started on 3rd November 2005 with the motto, ‘Radio for Life’. It opened the eyes of its listeners by developing creativity and visualization within a very short era which operates throughout 24 hours and caters to the entire family by broadcasting a wide variety of programmes that could touch on matters relating to everyday life styles of SriLankans – History, Science, Technology, Religion, Culture,Sports and Current Affairs. Presently this station covers 85% of the Sinhala Radio Listenership in the country & 70% from the total geographical area. Note: Scroll Down to see Play,Pause and Stop Buttons.You may need to install Adobe Media player to listen this station. FM will start playing automatically .Contact us if you face any problems in listening this station.